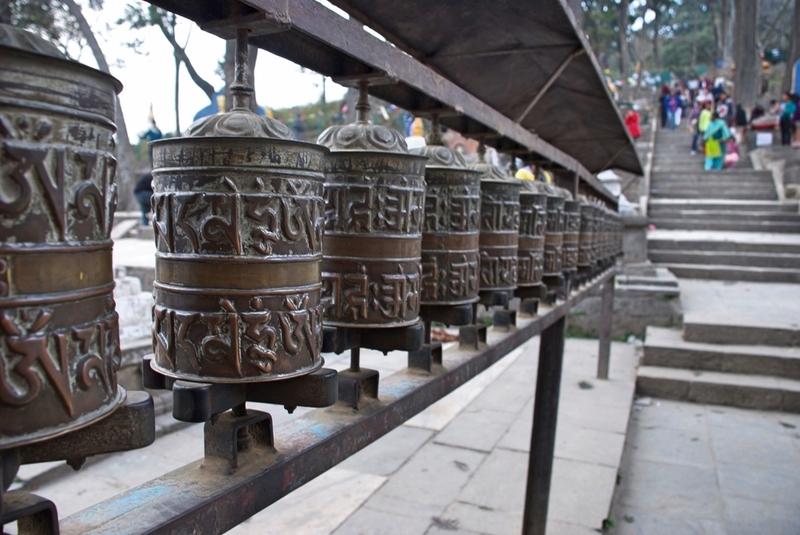 Swayambhunath is one of the oldest religious sites in Nepal. His construction was much probably achieved in 505 CE with its start date estimated around 464 CE. Once you arrive on site, 365 stairs will lead you to the top. The temple is worth the effort. Once you have reached the top you will have a splendid overlook of Kathmandu. Moreover, the place is enjoyable and peaceful, allowing you to spend a very good time alone or with friends or family. According to the Swayambhu Purana (a Buddhist scripture describing the origin and development of Kathmandu Valley), the whole valley used to be filled with a huge lake. From this lake, a lotus grew, which was given the name of “Swayambhu” meaning “Self-Created”. Manjushri, the bodhisattva of wisdom and learning, had a vision of this lotus and discovered that the valley could become a great settlement for human pilgrims. Therefore, he cut a gorge at Chovar and the water drained out, leaving the valley dry and liveable. Then, Manjushri transformed the lotus into a hill and its flower into the Swayambhunath Stupa. During his labor, he was supposed to keep his hair short. Instead, he let it grow long and head lice matured in it. 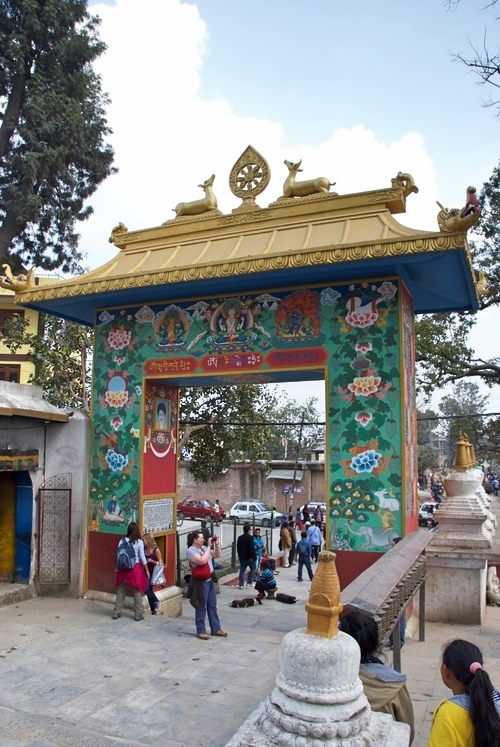 It is believed that the lice turned into holy monkeys, giving Swayambhunath its second name “The Monkey Temple”. Swayambhunath thus stands at the top of a hill. On site, you can start to climb the stairway straight after leaving the taxi. You can take your time and enjoy the presence of monkeys and nice sculptures and statues. The entrance ticket office stands at the top of the stairs on your left. You will pay only 200NPR for it, allowing the site to preserve its beauty. If you are medical student, show your medical student card and you will get a good discount on the entrance. At the top, remember to always walk clockwise around the Stupa, in order to respect the Buddhist traditions and not disturb the people who are here to pray. You will find all around the top hill small shops with souvenirs, paintings, jewellery, etc. As well, people selling fruits are mainly for you to feed monkeys. If you do so, be discret with the quantity of fruit you bought because the biggest monkeys are sneaky and will try to steal your whole bag to keep for themselves. From our guesthouse, you can easily take a taxi to reach the bottom hill. You can bargain your ride for ~300NPR to go and ~350NPR to come back. Note that if you come back in the evening, the price may increase slightly to ~400NPR. Taxi prices are always a bit more expensive to come back as our street is very quiet and it will be more difficult for the taxi driver to find new clients.